I tend to make individual hand-made pies every other week now, that includes pastry made from scratch. D tends to take them into work and my nephews and nieces quite like them too. One of the popular ones I make is the Paprika Mushroom and Potato Pies. Well to ring the changes this time round in place of potatoes I decided to replace them with butter beans. It was a lovely change from the stodge of the potatoes. 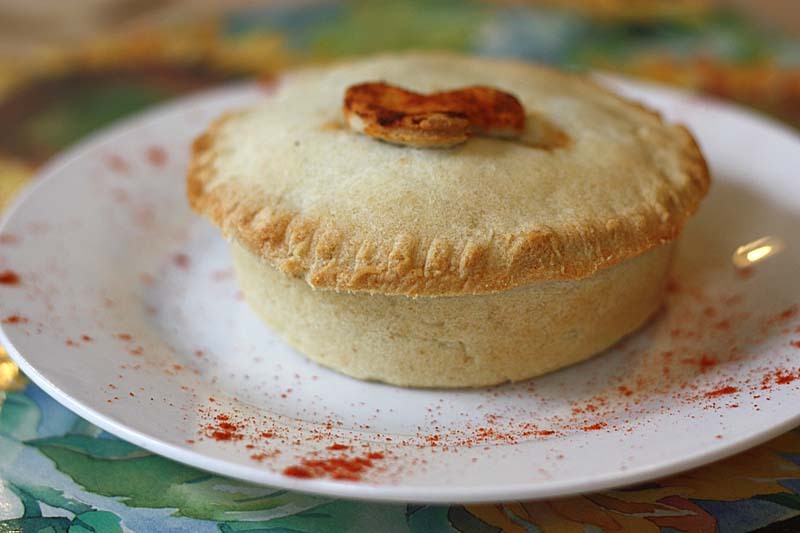 If you want to get an idea of what this deep paprika mushroom pie looks like on the inside, then follow this link. 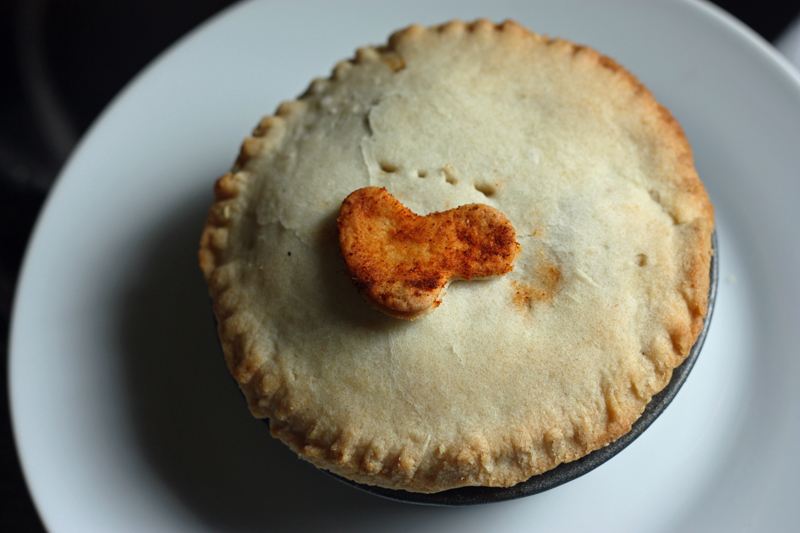 These little pies are quite rich in flavour, creamy too which is quite surprising as they are 100% vegan. They are good to eat, warm or at room temperature, hence the reason D takes them into work for his lunch. 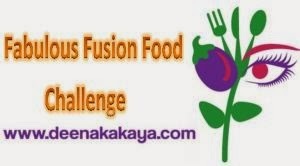 I am sharing this recipe with Deena Kakaya who is hosting Fabulous Fusion Food Challenge; and the Spice Trail hosted by Bangers and Mash. The challenge this month is to share recipes with paprika! I am also linking it to Tasty Tuesdays hosted by Vicki at Honest Mum. 2 teaspoons sweet paprika or smoked paprika - your choice! Heat the oil in a wide pan, add the onion and celery and fry gently until the onion is soft and lightly coloured. Add the mushrooms and cook for a couple of minutes. Sprinkle the flour over the mushrooms mixture, stir until well incorporated, then add the paprika, thyme and cayenne. Remove from the heat and gradually stir in the stock. Return to the heat and simmer, stirring constantly, until the sauce has thickened and smooth. Remove from the heat. Stir in the cooked butter beans. Season with salt and pepper to taste. You have three choices for the pastry. For ease, you can use shop bought shortcrust pastry and cook according to packet instructions. Or you can make your own shortcrust pastry. For recipe follow here. Or You can make you own hot water crust pastry, which is my personal preference. Follow here for the recipe. For individual pies, see here. An interesting mixture, I love butter beans so I may give these a try. These are so sweet to look at! I'd be hard pressed to cut into one ... until the scent took hold of me! Wink! Lovely little pies! Thank you Susan. The scent and flavour is quite enticing. Yummy! I really must try out your hot water ctust recipe next time I make pies. Not being all that good with getting a neat finish, I usually use a Breville "Pie Magic" for individual pies. I like making my own individual pies, but I have to say I have been tempted with one of those Breville Pie makers, but my hubbie won't let me get one :( sometimes I think it would be easier. Oh yum, your pie looks so tasty and I'm sure it tastes just as good as it looks. 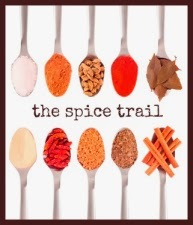 Thanks so much for sharing with this month's Spice Trail challenge! Thank you, I'd love to participate all the time - but life takes over. Thank you Vicki, I certainly will join in, thank you for the invitation and the intro' to your blog too. Thank you Alison, lovely to make your acquaintance. Excited to learn that you have connections with the Forestry Commission, I miss exploring forests,I did it a lot when I lived in west of Scotland. Living now in the land of dragons - Wales - and hope to start exploring forests again! Oh I am so pleased littleveganbear. Hope he likes, when you make - do let me know. These sound fab - mushrooms and butter beans are two of my faves! And it's definitely pie weather at the moment! Thanks for the recipe! Thank you so much for your lovely comment, Always good to hear from you. Thank you Sonia, I really like them, when cooked properly they just melt in your mouth. Thanks so much for linking up to #tastytuesdays with your wonderful pie-hope to see you again next week! Thank you so much for the invitation. I do hope to participate again.